Are you the person, tattered guidebook in hand, trudging down a worn tourist path? If you’re saying, “Yep, that’s me!” then I have a solution for you: Urban Adventures. 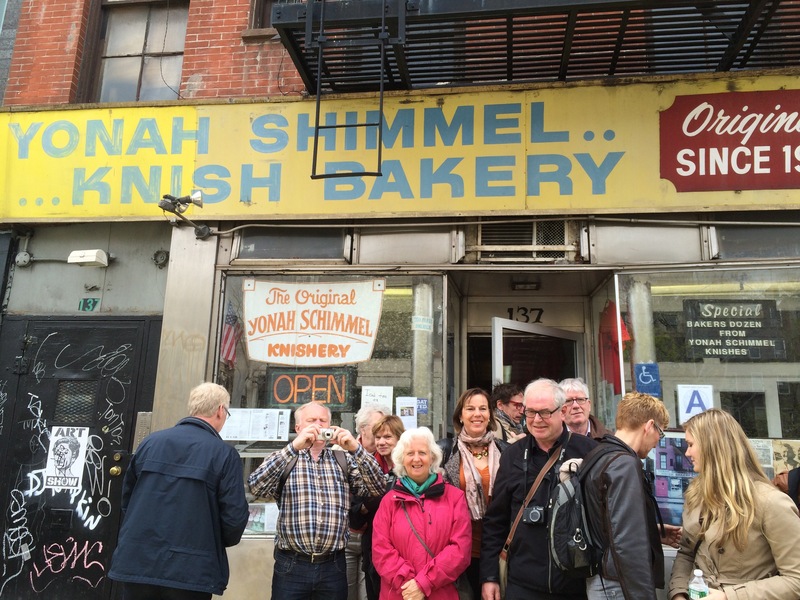 I have written about many local walking & bus tours in the 18 months that included Art Crawl Harlem, Taste & Culture Harlem, Brooklyn Neighborhood Tour, Craft Beer Tour, Best Brooklyn Pizza, Origins of Hip Hop, etc. The one thing they have in common is an opportunity to learn more about the city I love. Almost all the tours had a majority of participants from outside the city, with many tourists from around the world. 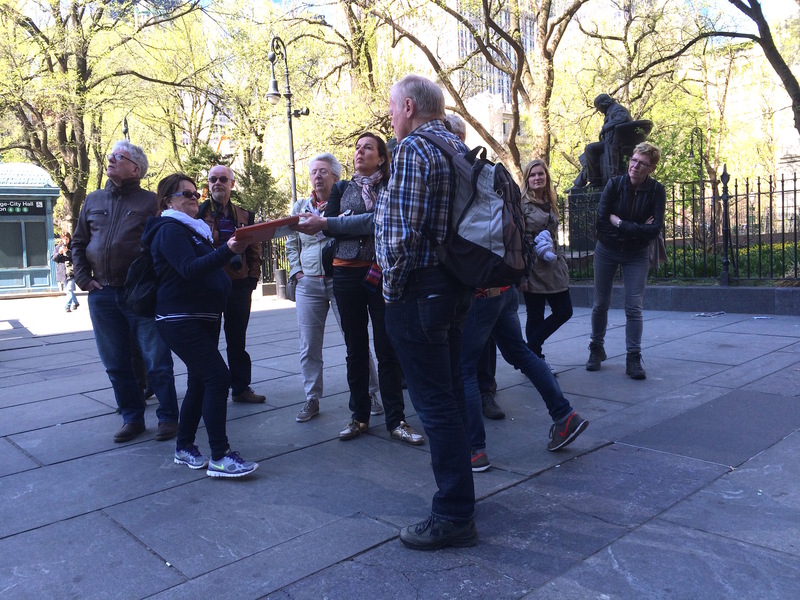 Joe started with a history lesson about the founding of NYC & gave us a Dutch sweet to get us started (I know the 8 folks from Holland liked that). We learned about the settling of NYC & The Five Point area. Joe talked about the history of City Hall, the Municipal Building, the Federal Courthouse, and the African Burial Grounds, etc. as we moved toward Chinatown & Little Italy. There were 4 food stops, all excellent choices. When one has jury duty it is always fun to have lunch in Chinatown. 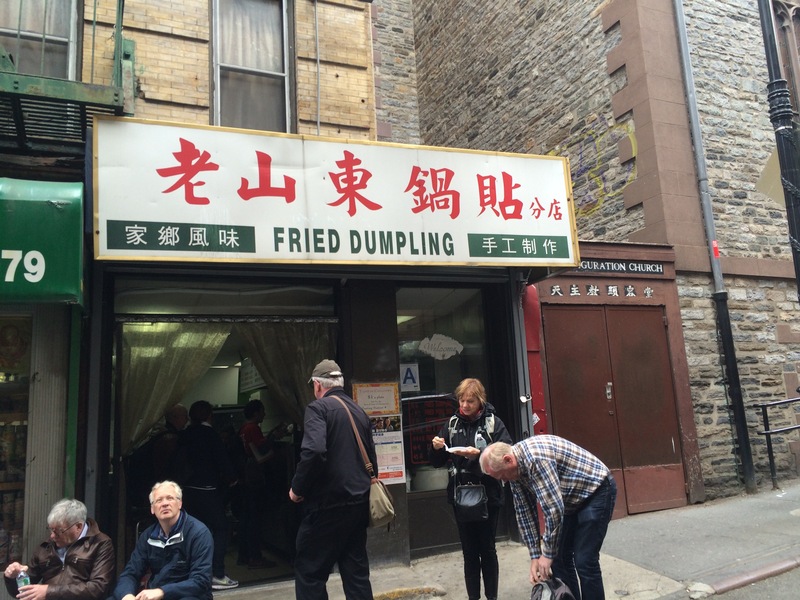 Our first stop was a tiny place named Fried Dumpling on Mosco Street. 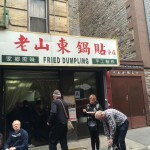 Not much ambiance but 5 freshly made and tasty dumplings for $1? WOW! 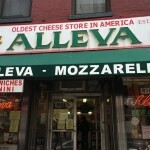 Alleva Dairy is the oldest cheese shop in America (1892) & is opposite the very well known Ferraro Bakery & Café on Grand Street where we sampled mozzarella & prosciutto. 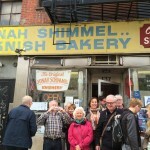 I had not been to Yonah Schimmel Knishery (1910) in 40 years. It is located on East Houston Street with handmade & baked (never fried) Knishes. I don’t think any of the other members of our group had ever tasted one before. Loreley Restaurant & Biergarten was our last stop. 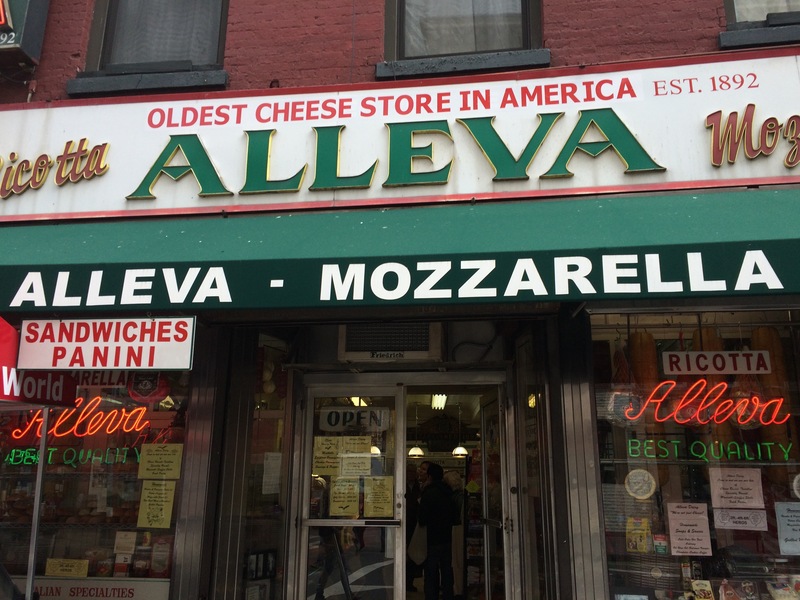 Located on Rivington Street I had passed it many times when visiting the now departed Shapiro Winery & Streit Matzo facilities. I had another appointment so I had to say farewell to the group after enjoying a freshly baked pretzel. The beer will come another time. Ron Kapon has over 50 years experience in the wine & spirit field, starting with his first drink (mixed with water) at age three. His family’s business – Acker, Merrall & Condit – was established in 1820 and is the oldest wine merchant in the United States as well as the largest wine auction company in the world. 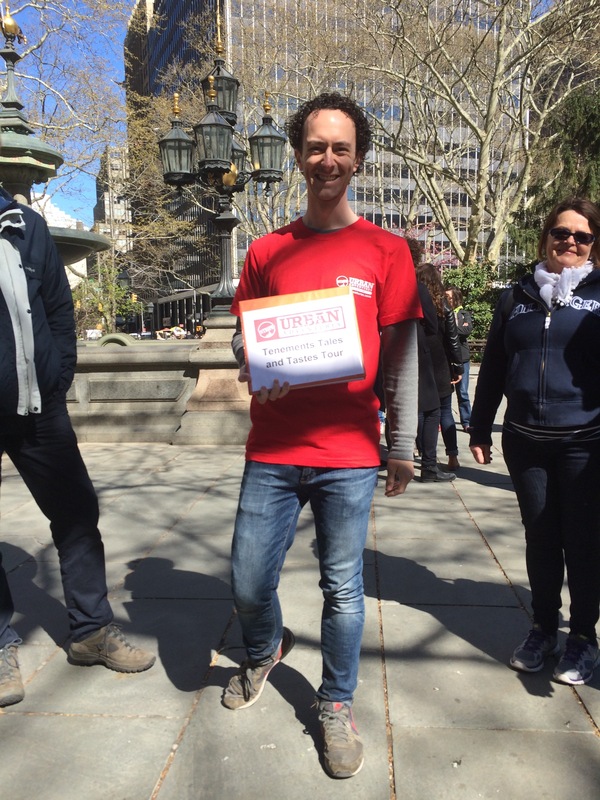 Just wanted to mention that Urban Adventures operates world-wide, not just NYC and the US. Wherever your destination takes you, check out the Urban Adventure website and book a tour while you’re in-country. Learn more about your destination that’s off that beaten path. My second paragraph covered the fact that Urban Adventures operates in over 100 countries world wide.